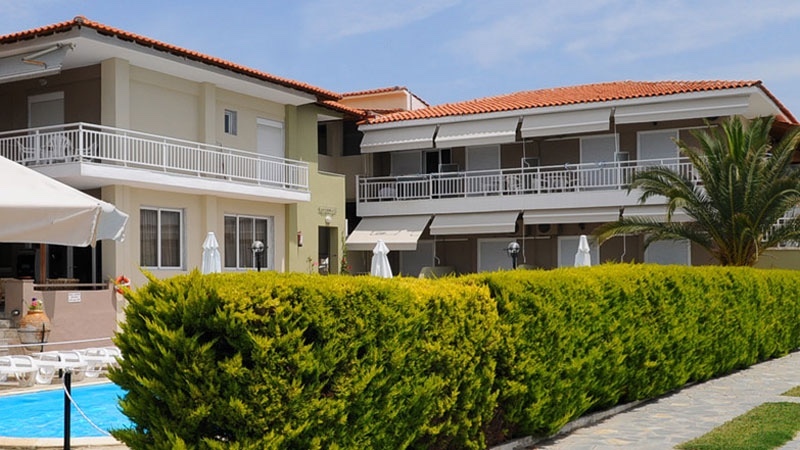 The Sunset Hotel in Neos Marmaras, Halkidiki, is located right on the stunning Paradisos beach. 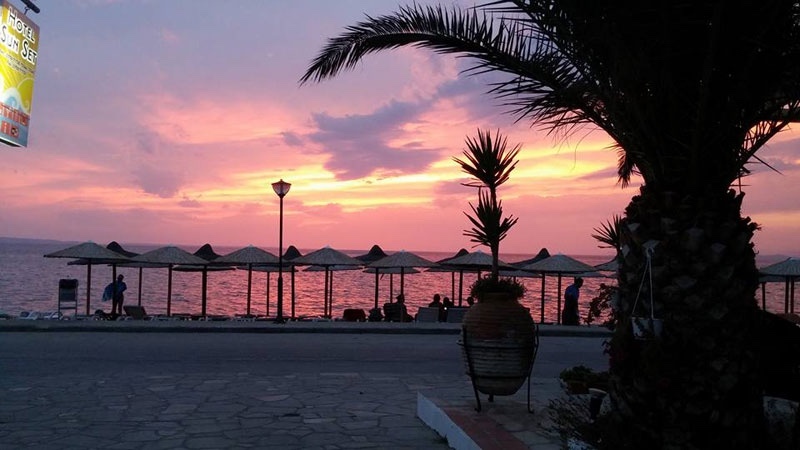 At Sunset Hotel you will be treated to family hospitality in a peaceful and relaxing environment, not to mention the stunning views of the sun setting over the Aegean sea. 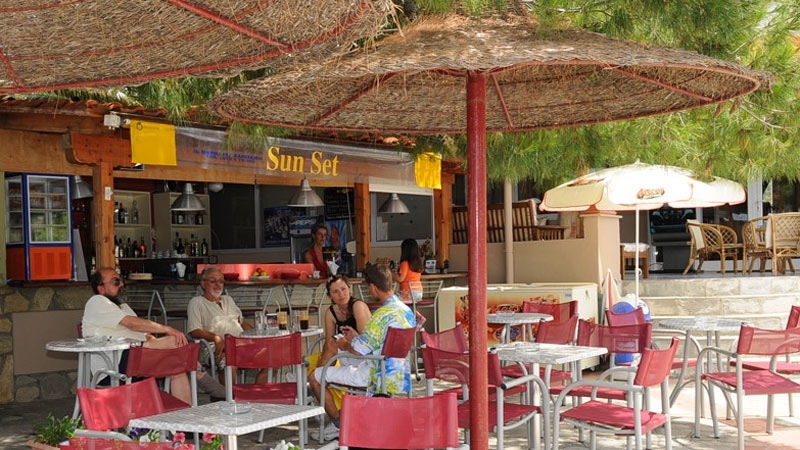 Sunset Hotel belongs to the 2-star category that offers newly renovated and very comfortable apartments and studios. 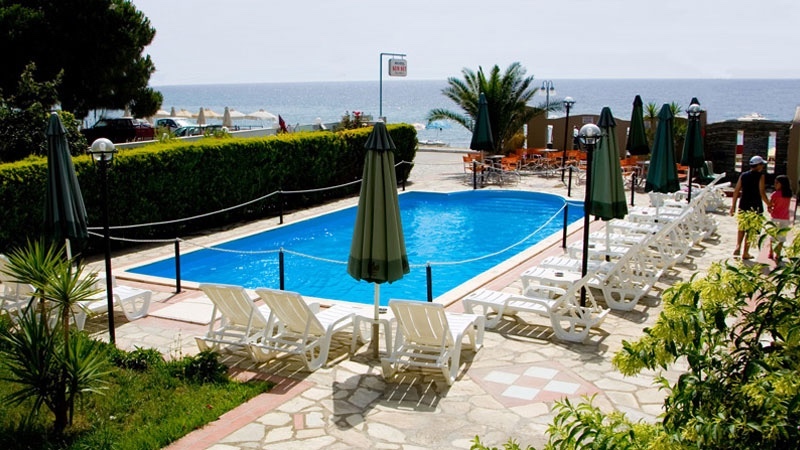 The hotel has a swimming pool with pool bar and has organized the beach with sun-beds and umbrellas. The outdoor cafe serves snacks and the indoor cafe a delicious breakfast. In the garden is room for parking and WiFi internet is available. Pets are always welcome! Sunset Hotel rooms can accommodate up to 4 persons. The rooms are decorated in warm and vivid shades and provide first class amenities, to make sure your stay is comfortable and relaxing. 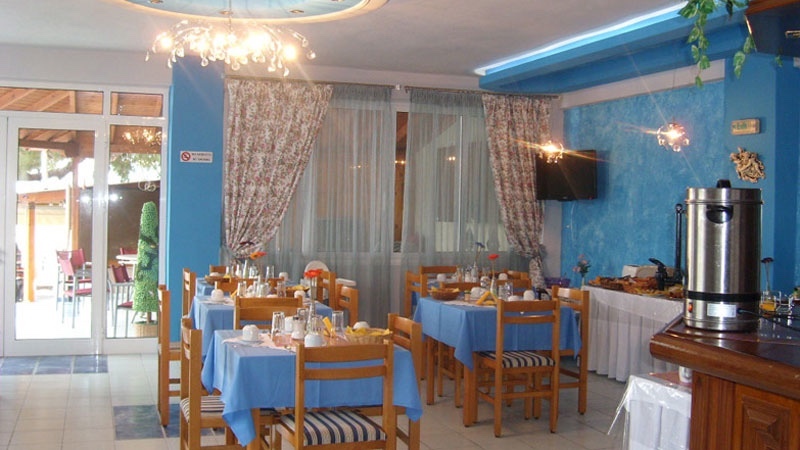 All rooms have a kitchen (refrigerator, stove), bathroom with shower, hairdryer, telephone, television, sea or mountain view balcony and the apartments have a living room. 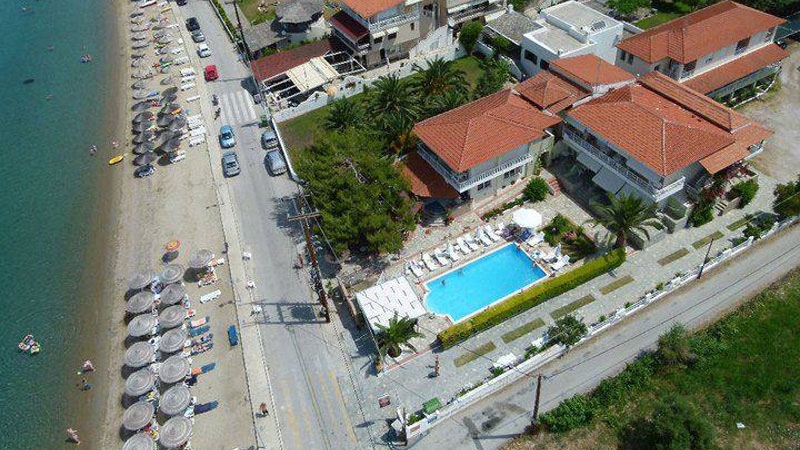 The location of Sunset Hotel is ideal, not just for its proximity to the beautiful beach, but is also walking distance to the bustling town centre of Neos Marmaras. 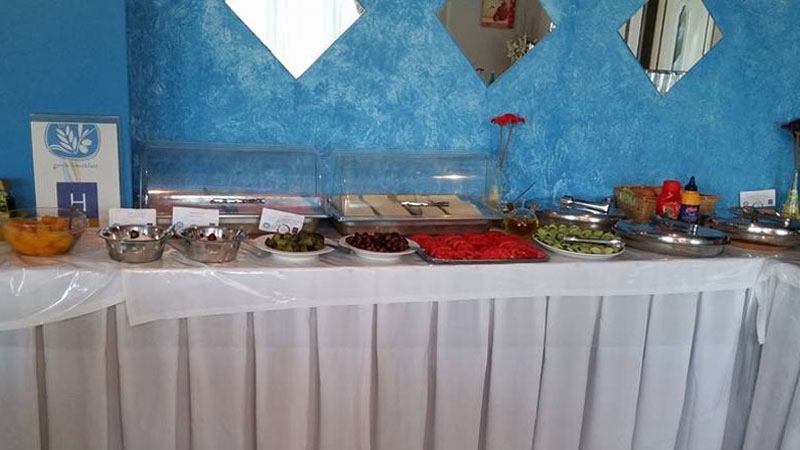 SPECIAL OFFER: From May 1 - July 10 and August 20 - end of season breakfast is included in the price. Children up to 3 years old stay free of charge, sharing bed with their parents. Like a small resort on the beach. Great for couples.